NEW YORK (CelebrityAccess MediaWire) — Label giant EMI has filed a lawsuit against a digital music resale website ReDigi, alleging copyright infringement. 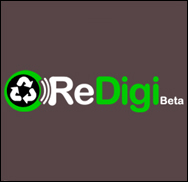 ReDigi purports to be the first legal website that allows users to purchase and sell "second hand" music files such as MP3s. Users of the service download a software package that ascertains if the music to be offered for sale is a legal copy and then deletes the file from the user's hard drive. However, it would be virtually impossible to prevent users from making backups of music before offering it for sale. ReDigi contends that they are in compliance with current U.S. copyright laws but apparently, EMI and their lawyers do not agree. According to the lawsuit filed by EMI, first sale doctrine, a legal principle that allows for a customer's right to resell product such as a book, record or CD, despite not holding the copyright to the original work. The doctrine was first implemented by the Supreme Court of the United States in 1908 in Bobbs-Merrill Co. v. Straus and later codified in the Copyright Act of 1976; however its application to digital reproductions, which can be easily duplicated, is not entirely clear. EMI is asking that the court instruct ReDigi to pay a penalty of $150,000 for each song resold through the service. According to the Telegraph, ReDigi's CEO John Ossenmacher was "surprised" by the lawsuit.